You have an AWESOME idea for a video, movie, commercial….you can see it in your head, …the colors, the angles, the story….you think, I have a camera, I just need to find the right location and a crew it will turn out GREAT!!! Hate to be the bearer of bad news but that is just not going to work out for you without a little planning….ok, a LOT of planning. There are many elements to address in any size production, but today we are focusing on selecting a location and some issues you should consider. Long before the folks with cameras arrive you must determine what challenges you may face on your projected location site. Here are a dirty dozen items to get you thinking like a pro…. Is this the location publicly or privately owned? Do you require a permit for public land use? Do you require a waiver or a rental contract for private property? Is any special insurance required? What type of parking is there for crew and talent? What type of access for driving equipment into site? Is there security for the site? If outdoor, will weather become an issue during shoot? What are the lighting challenges for the location? Outdoor lighting: How many daylight hours needed? 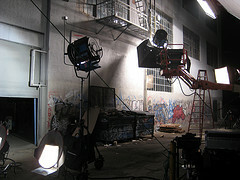 Light/ shadows change over the course of the day and the shoot schedule can be affected. Indoor lighting: Is there power? Where are the outlets located? What are the circuit ratings? Will it handle the power requirements of the equipment I will need? What are the audio challenges? Indoor: machine hums from air conditioners, refrigerators, facility lighting etc. Outdoor: planes overhead, street noise, ocean crashing, etc. Stay tuned for more pre-production tips. We know there are some nightmare stories based on pre-planning oversights, so let’s bring it.